Homepage elements are widgetizied to allow for easy editing/uploading without FTP. This template offers three separate page layouts: homepage, interior page one column layout, and interior page two column layout - set each individual page to the layout you prefer for that page. This new responsive WordPress church theme offers a compelling design scheme, with bold, color contrasts, a warm, inviting layout, and an easy to use WordPress content management system admin. 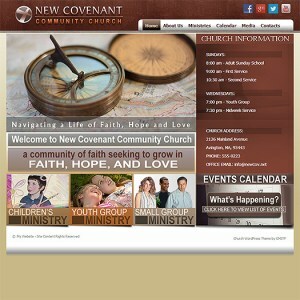 Making the right first impression is essential for your church website. With this premium church theme your visitor's eye will immediately be impacted by the unique and striking design of this template.